Whether you like Facebook or not you know the most popular social media outlet. The chance for you to engage with your customers on Facebook is massive. If you post great content consistently you will see the popularity of your page increasing and in a perfect world, this will have a flow on effect with higher sales. Many small businesses struggle to keep up with Facebook consistently due to the time involved. 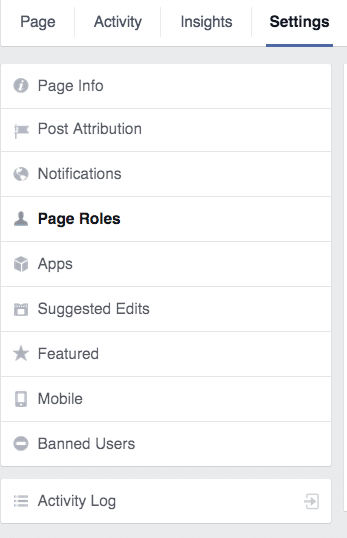 Luckily Facebook allows you to grant access for others to manage the page and engage with your fans. Below we are going to assume you have already set up the business page and just need to add another person. Log onto your personal Facebook page (your business page will be linked to the account). In the top right corner after you have logged in, click the triangle icon and choose the business you want to grant the person access to. 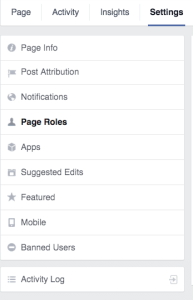 Click on Settings followed by Page Roles. You are then able to enter the email address for the person and assign them the role best suited for them. Read the access rules carefully for each available role. The status will be changed to pending until the invitation is accepted via the email the user will receive. Tip: You can only add people you are friends with on Facebook or who like the page. With additional people able to monitor your businesses Facebook page you will be able to ensure you keep your fans stimulated and engaged.